If you’re new to online marketing and you haven’t been getting the success that you want, then don’t get discouraged after reading that because there is a way to turn things around and achieve affiliate marketing success. If you’ve tried marketing in the various Facebook groups that promote affiliate marketing products, most likely you would have noticed that it is an endless pitch fest with people shamelessly self promoting their link. 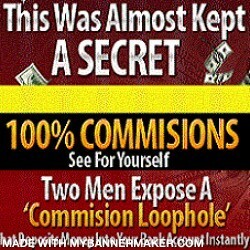 “Check out this amazing program and start making money today!” or “Get Instant Cash by Joining this Program!”. And let’s not forget the infamous exclamation “This is the best program to have surfaced on the internet”. There are a ton of affiliate programs and systems out there, each one promising you the moon with instant cash, easy money, overnight success, simple push button cash generation and that you should buy it because you’re missing out if you don’t. When it comes to affiliate marketing success, ask yourself how will your marketing efforts benefit by you getting that program or software? If it’s promising instant success at the push of a button, then stay as far away from it as you can because most likely the people who are trying to sell that to you aren’t making money with it themselves. The most important thing you can do with online marketing is self branding through attraction marketing. This means that you attract people to you by providing value in the marketplace, helping others and building relationships first before pitching. So promoting the promise of overnight success and instant push button cash generation programs will harm your reputation and cause people to avoid you, instead of coming to you! So if affiliate marketing success isn’t on your list, by all means continue to pitch and lead with hype. It’s human nature to overload ourselves by buying things that we don’t really need. So instead of wasting your money buying a hyped up program, invest that into buying a program that teaches you how to market instead. Trust me. Learning how to do something and why it works is infinitely better than buying something that gets you minimal results and not understanding a thing at all. Invest in yourself, because you alone are capable of taking yourself to where you want to go, NOT a hyped up, misleading program. So if you’re going to be an affiliate for something, be picky and access how that product will enhance your marketing, your personal brand, and how it will be useful to your prospects. Separate yourself from the 97% of failing affiliate marketers who choose to hop from one thing to another because it’s “easy”, or it’s the “latest thing”, and do what the top 3% are doing: associating themselves with the best of the best out there, and investing in themselves. Programs, products and systems come and go. You are the only constant. By understanding this, affiliate marketing success will come to you sooner, than later. So make yourself as knowledgeable, helpful and valuable as you can and that, my friend, will be what enables you to make money. If you found this helpful, leave a comment and share it with someone who you know will benefit. P.S. Want to learn how to attract your prospects to you? 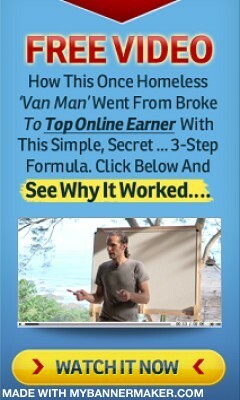 Get your free 7 video training by clicking here.